Have we learned from history? Maybe we haven’t. Maybe we all need to watch this movie. This review contains light spoilers. 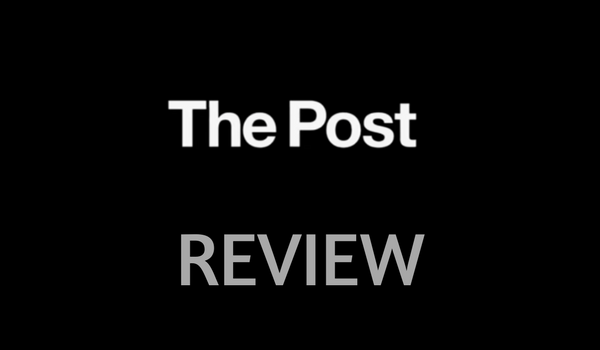 This week in the Philippines comes The Post, a movie based on the adversarial relationship between the US government and newspapers over the Pentagon Papers, a study that exposed how the four administrations led the public to believe that the country was winning the Vietnam War, among other things - mostly unethical. As the Nixon government bullied the New York Times, the first newspaper to break the story, with a court injunction, Washington Post’s publisher Katherine Graham likewise faced internal pressure from her male colleagues, who were against publishing the rest of the documents. This came at time where female leadership was questioned and her family newspaper business was at the risk of losing investors and facing criminal charges. The parallels are absolutely impossible to miss. The Post exists to remind us of the role of the Fourth Estate. Eventually, former US President Richard Nixon barred Washington Post reporters from the White House. It’s happening again. It’s not just in the US, my dear Filipino readers. The strong message is not lost, thanks to the well-crafted movie. Meryl Streep’s underplaying as Graham makes the character believable and sympathetic. The cinematography on the narrow spaces of the newsroom, Graham's and her editor Ben Bradlee (Tom Hanks)'s residences captured the frisson of the times. Director Steven Spielberg is indeed a master storyteller. The last scene fast-forwards to the Watergate scandal, which can be interpreted as a prequel to 1976's All the President’s Men or a cliffhanger, an equivalent of those exciting Marvel Studios post-credits scenes. Learning from history suddenly becomes exciting. The Post opens on Wednesday in the Philippines. Make sure to buy your ticket so the guard would let you in.